A Brief Bio of Paul B. Rothman, M.D. Paul Rothman, a rheumatologist and molecular immunologist, has since 2008 been dean of the Carver College of Medicine at the University of Iowa and leader of that university’s clinical practice plan. He served from 2004 to 2008 as professor and head of the Department of Internal Medicine at Iowa, with secondary appointments in the Department of Microbiology and the Department of Physiology and Biophysics. As a member of the faculty of the Columbia University College of Physicians and Surgeons from 1986 to 2004, he was founding chief of its Division of Pulmonary, Allergy and Critical Care Medicine and later vice chairman for research of the Department of Medicine. Rothman’s research on cytokines (immune system molecules) focuses on their role in the development of blood cells called leukocytes. Abnormal development of these blood cells can lead to leukemia. He also studies the role of cytokines in immune system responses to asthma and allergies. Rothman is an elected member of the American Association for the Advancement of Science, American College of Physicians, Council of the Association of American Physicians, and American Society of Clinical Investigation. He has served as a member of the National Institutes of Health Immunologic Sciences Study Section, the Israel Cancer Research Fund International Scientific Advisory Board, the American Academy of Allergy, Asthma and Immunology Grant Review Committee, and the American Thoracic Society Asthma Immunology and Inflammation Program Committee. His awards include a James S. McDonnell Foundation Career Development Award, a Pfizer Scholars Award, Pew Scholars Award, a Leukemia Society of America Scholar Award and the Pharmacia Allergy Research Foundation International Award. He is a 1980 Phi Beta Kappa graduate of the Massachusetts Institute of Technology and earned his medical degree from Yale University in 1984, going on to train at Columbia-Presbyterian Medical Center and to a post-doctoral fellowship at Columbia University. Rothman is married to physician Frances Jane Meyer, a clinical gastroenterologist on the faculty of the Carver College of Medicine since 2005. She also trained at Columbia-Presbyterian and later also served as a faculty member at Columbia University. They have three children: Alissa, 18, a freshman at Amherst College; Daniel, 17, a senior in high school, and Eric, 13, an eighth-grade student. 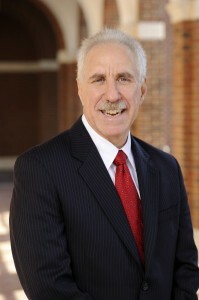 Related link: News release announcing Paul Rothman’s appointment as dean of the School of Medicine and chief executive officer of Johns Hopkins Medicine.